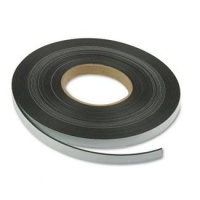 Tapes are made from many different materials to suit all kinds of uses and applications (polypropylene, polythene, PVC, vinyl, foam, magnetic, cloth, paper, steel, tissue, to name a few). 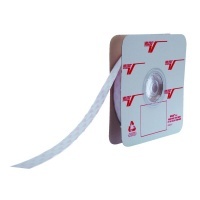 And with so many different sizes, gauges (thickness/strength) and colours available, we're sure to find the exact tape for your needs. 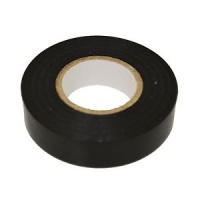 We're happy to give you advice - tell us what you need the tape to do and we'll be able to recommend the best tape for the job. 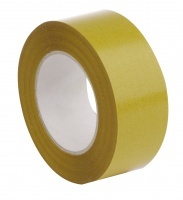 For that extra touch, to enhance recognition with your own customers, why not choose coloured printed tape with your business name, logo, contact details, or other information. 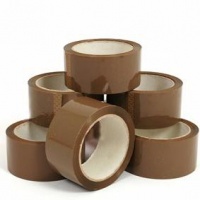 Although it would of course cost a bit more than a plain tape, the impact will make your packaged products really stand out. 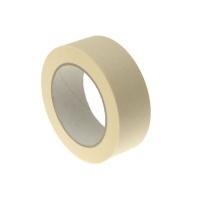 And we can offer this service for small order quantities from just 4 boxes (144 rolls). Ask us for more information today. We're adding more products all the time so, if you can't see what you're after on our website, do contact us.